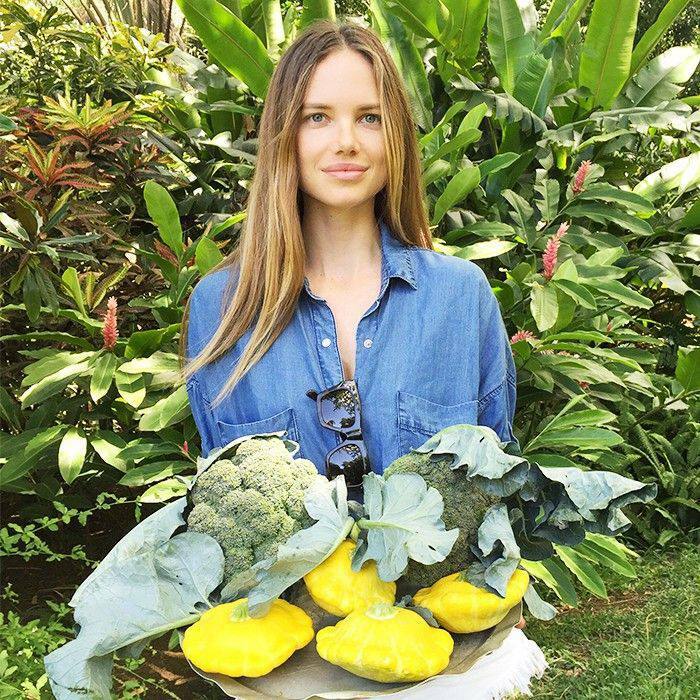 We pick the brains of models day in and day out, constantly prying into their medicine cabinets and kitchen cupboards in an attempt to uncover their elusive model secrets. In these endeavors, we hear a lot about eating clean and avoiding sugar, but rarely do we hear diet tips from a model who also happens to have her degree in nutritional science. That’s exactly what we found in Alicia Rountree. The Mauritian model (she’s got the island hair and bronzed glow to prove it) is also a certified nutritionist and restaurateur (she has to be able to put her knowledge into practice, right? ), and today she’s sharing her secrets with us. Have you been feeling sluggish or bloated? Do you frequently get headaches or feel pain in your joints? It may come as a surprise, but the culprit of these symptoms may be lurking on your plate: You could have a food intolerance. Who knows? Your morning bagel could be the cause of your afternoon migraine! Luckily, there is an easy and inexpensive way to find out if your body disagrees with certain foods. It’s called the elimination diet. No need for expensive medical tests—you’ll only need a little time and patience. The elimination diet requires discipline and monitoring, but your body will thank you when you find the root of your intolerance. The great thing about this diet is that it helps you discover which foods work for your body, so it’s tailored just for you. Keep reading to learn how to implement the elimination diet and discover what foods are causing your body stress. The first thing you should do is look for imbalances you may have already noticed. Do you get migraines, indigestion, or fatigue? How is your mood? Look closely at your skin. Do you notice redness or bumps? These could be signs that the foods you are eating are causing you discomfort, even if you are healthy. This is an important step because it will help you notice changes as they occur. The plan is to completely remove certain foods for 21 days. After the three weeks are up, slowly reintroduce each type of food back into your diet one by one and see how your body reacts. So what types of food should be eliminated? You’ll need to cut out dairy, eggs, gluten, corn, nuts, citrus fruit, and shellfish. I would recommend cutting out alcohol and coffee as well for a real detox. Hydration is key, so make sure to drink between two and four liters of water daily. During this period, your diet should consist of organic vegetables, fruit, whole grains, wild fish, beans, and healthy fats like avocados and cold-pressed oils. Eat plenty of fiber and unprocessed foods. Get cooking fresh! After the first 21 days of avoiding the foods mentioned above, you should definitely be feeling great! Now, this is when you start to reintroduce each food group, one by one. For example, on the 22nd day, reintroduce dairy. Have a yogurt or milk in the morning and some cheese throughout the day. Notice how you feel over the next couple days. You could feel something immediately, a delayed reaction, or nothing at all. Then you do the same thing again with another group, allowing at least three days between each type of food before reintroducing the next one. This will really help you notice how your body reacts to each food. A food diary is helpful to keep track of how you feel with each reintroduction and if your symptoms resurface. Now notice how you feel. Has the redness in your skin disappeared? Is your stomach flatter? Maybe you are sleeping better and have more energy to do the things you love. The elimination diet is a great way to save yourself from a lifetime of discomfort. For a deeper look into the elimination diet, Alissa Segersten and Tom Malterre’s The Elimination Diet is a great resource that also includes meal plans and recipes. Pin (or print) the checklist below to keep it with you when you grocery-shop! Have you ever tried the elimination diet? How did it change the types of food you eat?